My painting table is still awash with tiny, patriotic Americans. 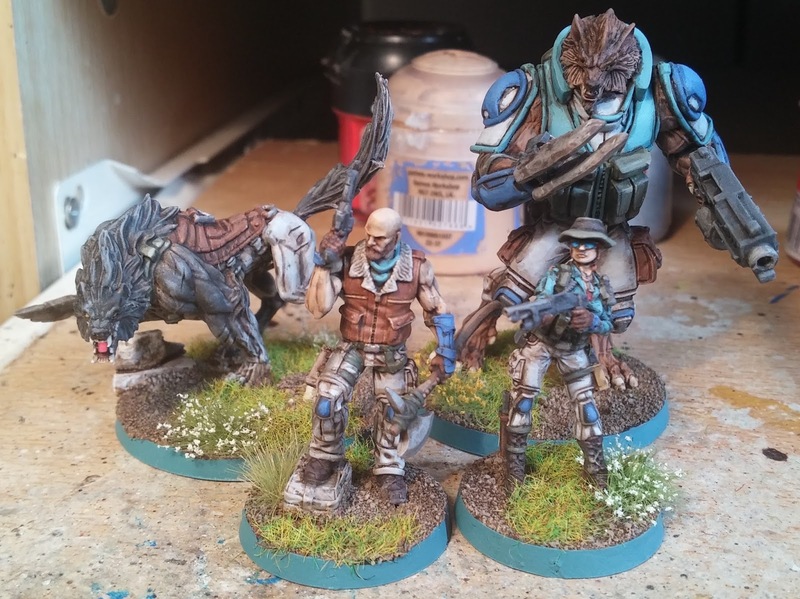 I finally got round to finishing off my second Devil Dog team as well as another Foxtrot and the King of USAriadna himself - Van Zant! Wow, what a weekend that was. So as you may have noticed, I recently attended the third Infinity Interplanetary tournament held in Vigo, Spain. This is a hundred-player event featuring five missions over two days. It's a great opportunity to play against some of the best, or at least craziest/most dedicated players from around the world. Last year I took my Steel Phalanx and placed a respectable 33rd, this year my plan was to try and not do worse. You can read about the lists I took here and my exploits from last year here. So how did I do? Read on! Warning, lots (and lots) of words ahead! Some of the prize support being given away on the day! Okay, final seminar write-up from the Interplanetary. Honest! 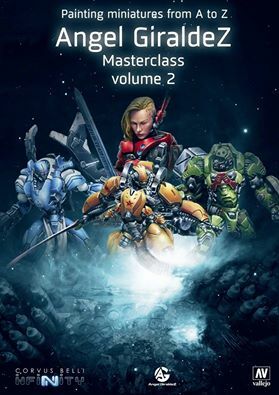 This is actually the first seminar that took place over the weekend and was a discussion about the creative process for Infinity and also included a Q&A portion with the staff. There was a wide range of topics covered and it's clear that there were a lot of questions that the community was just dying to ask. Among other things, the seminar covered art design, release schedules, the delays with the RPG and entirely too much information about Dog Soldiers. Apologies for the low image quality, such are the issues with trying to take pictures of a projector on a sunny day and I'm still getting to grips with a new camera and image editor.